Now that its back on the scene in Metairie, Kenner, and Slidell, the 2016 Dodge Dart has called attention to itself with its masterful good looks and efficient power. And it's hard to believe that such a stylish sedan can be as budget-friendly as it is. The experienced sales staff at Premier Chrysler Jeep Dodge Ram would like to show you just how affordable the 2016 Dodge Dart can be. Come and visit us at our New Orleans Chrysler Dodge Jeep Ram dealership and let us make you an offer you can't refuse. So, if you are in the market for a sleek, stylish compact sedan and a great price, head on over to Premier Chrysler Jeep Dodge Ram and let us pull up a 2016 Dodge Dart for you to test drive! The 2016 Dodge Dart is bringing the compact sedan segments some much-needed diversity. Rivals like the Toyota Corolla are no longer your only option when it comes to efficient, yet fun-to-drive small cars. You will find more power than you might think in the 2016 Dodge Dart thanks to three awesome engines offered across the lineup. Whether you choose the 1.4-liter MultiAir turbo four-cylinder with 160 horsepower, the 2.0-liter I4 with 160 horsepower, or the 2.4-liter Tigershark MultiAir four-cylinder that delivers 184 horsepower, you will always get amazing performance from the Dart. All engines are mated to a standard six-speed manual transmission on all models except the top of the line Dart Limited, which comes with a six-speed Powertech automatic. By contrast, only one engine is available for the Toyota Corolla; a 1.8L VVT 4-cylinder with 140 horsepower. A six-speed manual is only available on some models, and a four-speed automatic or CVT automatic is standard on others. 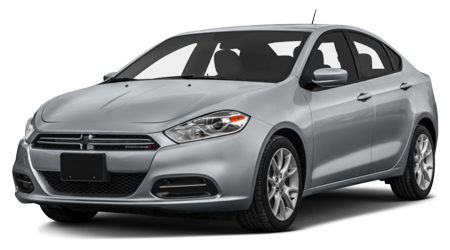 Clearly, with its powerful and thrilling engine choices, the 2016 Dodge Dart takes the crown. The 2016 Dodge Dart and Corolla are neck and neck when it comes to fuel economy, but the Dart Aero edges out the Corolla Eco with its remarkable estimated 41 highway mpg while the Corolla Eco comes up a little short at 40 mpg. 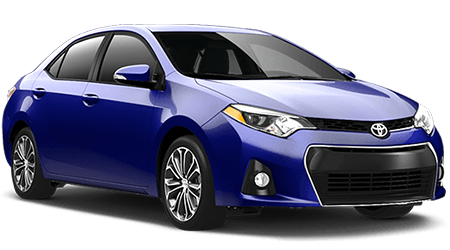 And the Toyota Corolla Eco is a much pricier model than the Dodge Dart Aero, too, so the 2016 Dodge Dart is the better all the way around in this case. If you want your wallet to stay fat, you can do it easily when you choose the 2016 Dodge Dart over the Toyota Corolla. With a starting MSRP of $16,995 versus the Corolla's starting MSRP of $17,900 That means you will keep nearly $1000 in your pocket before you even walk in the door of Premier Chrysler Jeep Dodge Ram, where we will offer you an amazing deal! Standard LED tail lights and a center high-mount stop light are also included in the MSRP of the Dodge Dart and not offered on the Corolla's base L trim. Hurry down to see us at Premier Chrysler Jeep Dodge Ram and check out the new and exciting 2016 Dodge Dart. This handsome compact sedan is fun to drive, efficient, and convenient thanks to its amazing standard features. Our New Orleans Chrysler Dodge Jeep Ram dealership has the Dart in stock now, so come from anywhere in Metairie, Kenner, and Slidell to our location at 13000 I-10 Service Rd in New Orleans and get yourself a great deal on a new Dodge Dart.